Monitor is proud to present Slide Show: A project in NY, a series of solo shows in New York. The first of these appointments will feature two artists from the Italian scene, both prominent but who come from two different generations – Francesco Arena, born in 1977 and Claudio Verna, born in 1937. Francesco Arena (Torre Santa Susanna, Brindisi 1978, IT*) translates history within the confines of ‘consuming’ space – minimalist sculptures that refer to the physical index of the subjective human body. His work frequently combines a strong political element with a recovery of ancient crafts and traditions typical of southern Italy. Through his sculptures and installations Arena channels the memory of Italian and international events into works that are often evocative of monuments to some of the most dramatic episodes of the country’s history. Arena was featured in the Italian Pavilion of the last Venice Biennale, curated by Bartolomeo Pietromarchi. For Slide Show Francesco Arena will present a new work inspired by the city of New York. June 16th 1904 is the day in which James Joyce set his Ulysses and on a number of occasions during that day the novel’s protagonist, Leopold Bloom, chances upon the news of the naval disaster involving the General Slocum that had taken place the previous day when the ship had burned in the waters of New York’s East River. The vessel had been rented to ferry the congregation (largely German-Americans living in Little Germany in Manhattan, currently East Village and Alphabet City) of St. Mark’s Lutheran evangelical church for a picnic outing. Of the 1,342 people on board the General Slocum it is estimated that 1,021 lost their lives. Until the 9/11 terrorist attacks the General Slocum was the worst disaster in terms of loss of human life that has ever taken place in the New York area. Already undergoing a slow decline prior to the disaster, Little Germany all but vanished as a neighbourhood after the General Slocum accident. Most of the Lutheran Germans living in Lower East Side moved into the city’s plusher neighbourhoods, while St. Mark’s – the parish that had rented the boat involved in the calamity – eventually became a synagogue. As he was reading Joyce’s Ulysses in the summer of 2013, Francesco Arena came across the General Slocum episode and made the connection with a story that had been told him by a Lower East Side resident in the winter of 2012-13, when he was living with his family in the East Village. Three diaries – one from the year the artist’s wife was born in 1977, the other from Arena’s year of birth the following year and the third from 2010, the year their daughter was born – are open at the pages concerning June 15th and 16th. The pages of the diaries are held down by white bronze sculptures completed by the artist using only one hand. Claudio Verna is regarded as one of the most brilliant exponents (along with, among others, Claudio Olivieri, Giorgio Griffa and Claudio Battaglia) of Analytical Painting, which advocated a reinvention of the painting medium at a time in which it was widely considered defunct. Verna’s paintings objectively and pragmatically explore visual perception phenomena. Since 1967 his work has abandoned any reference to subject – not even to an abstract image – in favour of total absorption with the dynamics and dialectics of the elements of painting itself, particularly colour. By 1969 Verna’s work began to display the first signs of a freer way of applying colour to the canvas, particularly at the margins of his paintings where shapes ended or overlapped. Drawing high precision squares and crosses with the aid of draughtsman’s tools such as a ruler and compass, Verna retained the original linear marks visible as part of the overall figurative structure of his works. An element of surprise is nonetheless generated by his use of colour, when the rationality of the geometry interacts with aspects associated with emotion and sensibility. By minimizing the formal components of his paintings in favour of expanses of colour whose depth and luminous power were thus intensified, Verna achieved almost monochromatic figurative solutions. The works proposed for the show perfectly embody this aspect of his opus. For Slide Show, Monitor will in fact present two landmark paintings from 1968 and 1971, as well as works on paper from the same period. 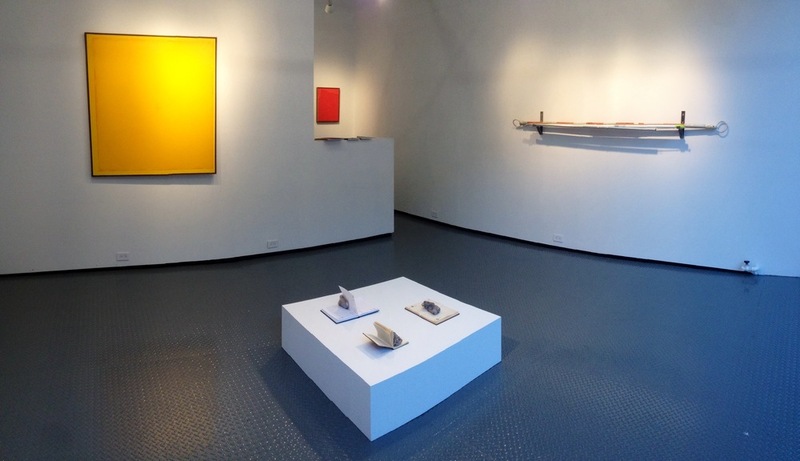 The Show will be open from January 9th to January 26th from 11am to 6pm. 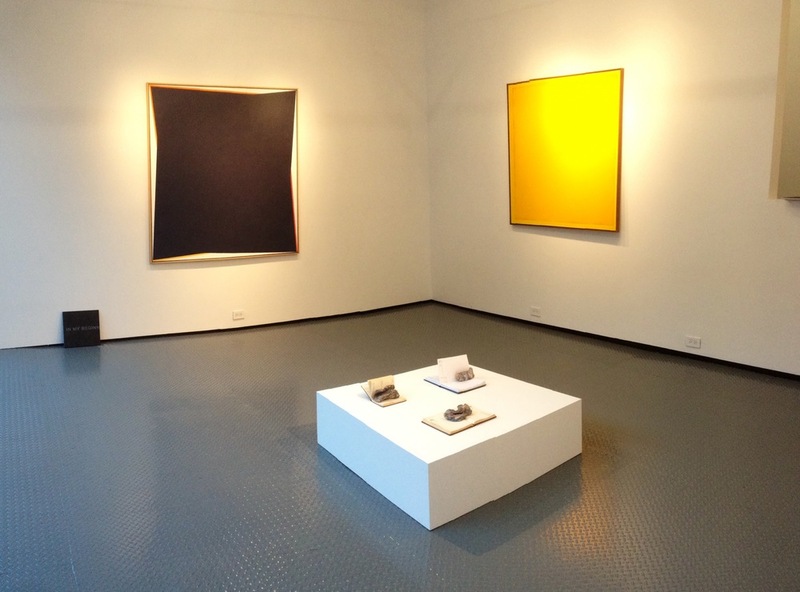 MONITOR will join the Lower East Side galleries receptions on January 12th from 6 to 8 pm.